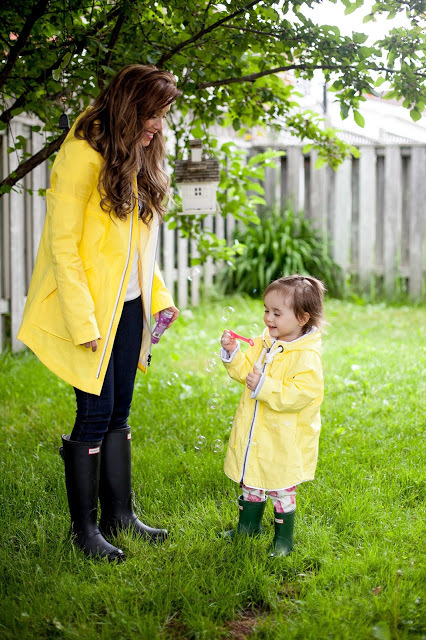 April and May are notorious for rainy weather and while I’m not complaining (because hey, it could be snow) it can be challenging to keep kids happy and content when they’re feeling cooped up inside. Often during the spring season rainy days turn into rainy weeks, and it can quickly feel like part of your daily routine to turn on Netflix, have a movie marathon, or hand your child the iPad. While we love to curl up on the couch for a family movie night on the weekends, throughout the week we try our best to be mindful of how Ella and Noah spend their time. 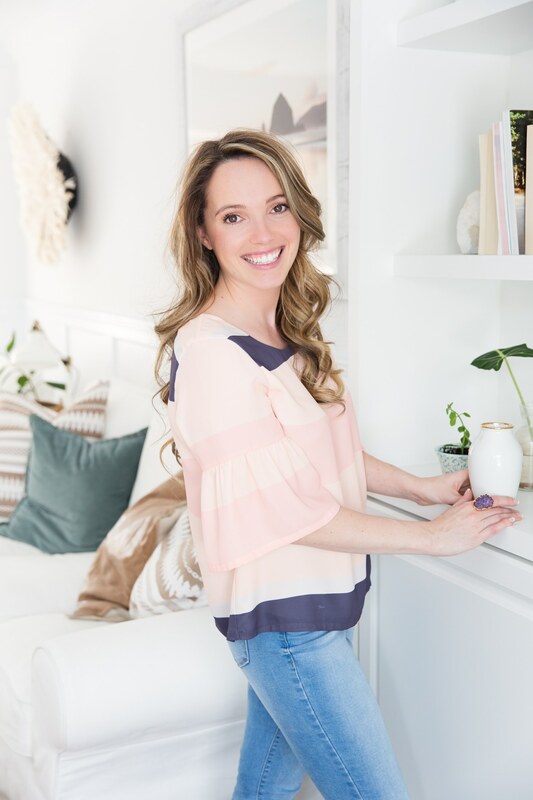 As a result, we frequently find ourselves getting creative when we need to keep them occupied for longer periods of time indoors; so today we’re sharing our favourite tips and tricks to help keep your little ones entertained without being glued to a screen. We’re confident if you follow our suggestions, you might even get to enjoy a hot cup of coffee in peace without your kids begging for just one more episode of Paw Patrol. It’s a win, win. This is hands down one of our kid’s favourite ways to creatively spend time indoors. All you need are a pile of blankets, bed sheets, or even towels, and some clothes pins. Try to embrace the mess and help your children safely move around furniture to create the frame of their fort. Drape your blankets and sheets over top of tables, chairs, and any other pieces of furniture that you’re using – clip some together using the clothes pins while leaving other blankets or sheets draping down to create “entrances” to the fort or “secret trap doors” at the back of the fort. Once its assembled let your child’s imagination take the lead, Ella and Noah love to drag their pillows, stuffies, and other small treasures inside to play with. 2.) Spend time cooking or baking. Ella and Noah are no strangers to spending time in the kitchen, they frequently play sous chef while Craig or I are cooking our family meals. While preparing food in the kitchen with children is a learning process (and it’s certainly important to assess your own child’s skill set) it is an easy way to pass the time on a rainy day and usually yields delicious results. Measuring dry ingredients, stirring and mixing in a bowl, and sorting ingredients into prep bowls are simple tasks even little hands can take part in. Allowing your children to choose their own toppings for homemade pizzas or mix-ins for fluffy pancakes will likely help them feel included in the process and even more excited for the finished product. 3.) Snuggle up with a good book or Moonlite’s story reels. 4.) Help you kids discover their green thumb. We make trips to the local greenhouse almost weekly but there’s something so calming about being inside the greenhouses while rain beads down on the glass ceilings. What can I say? It’s our happy place. Encourage your children to help choose a new plant for either in your home or for your backyard garden. Greenhouses are an ideal destination for children who have been stuck indoors because not only are they typically spacious enough for kid’s to stretch their legs and do some exploring, but many studies suggest that children who are around elements of nature experience reduced anxiety and are calmer and happier as a result. If you’re looking for plants that will capture your child’s curiosity, check out this helpful list here. 5.) Why not snorkel in the bathtub? and enjoying the little things. And what’s more reminiscent of a simplistic childhood than jumping in muddy puddles while rain pours down all around you? We say go for it! Grab your umbrellas, zip up your rain coats, and pull on those wellies! I still remember one particular spring day back in 2015 (and shown in the pictures above), with my then two-and- a-half year old Ella. 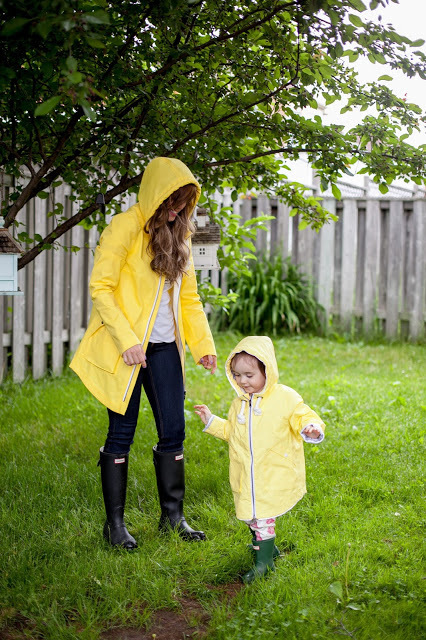 We had been experiencing so many cloudy and rainy days that finally one afternoon we decided rain or shine, we were headed outside to play. Almost like magic, the sun began beaming down on us as we twirled in the wet grass and blew bubbles together. It was an afternoon filled with tiny moments that I’ll never forget. Embrace the weather and show your children that a change in perspective is often all you need to turn an ordinary day into a truly magical and memorable one. 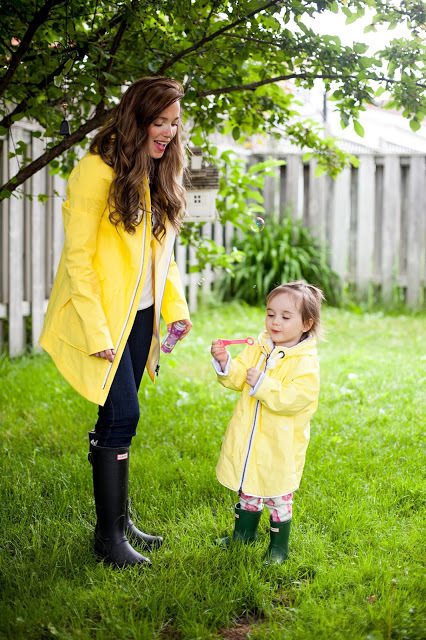 We would love to hear any of your tried and true rainy day suggestions – after all, us mommies can never have too many tricks up our sleeves, am I right? Happy spring, everyone!